Welcome To Plumbline Construction LLC. 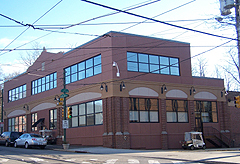 Plumbline Construction is a commercial carpentry construction company located in Glen Mills, Pennsylvania. We provide construction services to private and commercial clients. Our customers represent both national and local companies covering a wide range of industries including: Banking, Pharmaceutical, Retail, Entertainment, Manufacturing, Health Care and Retirement/Life Care Communities.